Listen to Music Samples Here! $32 regular price-now on sale for $23! 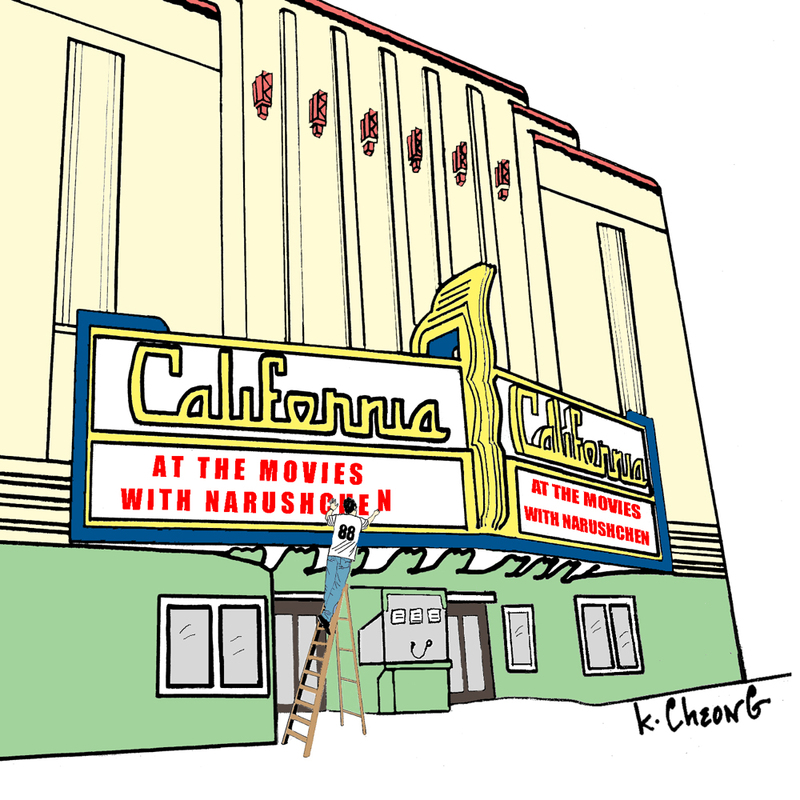 At the Movies with Narushchen (2011): San Francisco Ballet pianist Jamie Narushchen goes to the movies with his new CD of classic movie songs that will delight dancers and motivate them to learn exercises more quickly. Over the span of a decade, Mr. Narushchen hand-picked 28 movie songs and skillfully developed them to capture the feeling and motion of common ballet exercises. A movie buff whose fortes are improvisation and composition, he enlivened the songs with signature harmonies, brilliant dissonances, and bravura that can’t be found anywhere else. Don’t forget the popcorn! The regular price of this CD, $32, is higher than other JAN Records CDs due to the additional licensing fees of copyrighted songs. Exercises are printed on the back of the case and on its one-page CD insert. A New York Steinway concert grand piano was used during the recording. $28 regular price-now on sale for $23! Before he starts his day at the San Francisco Ballet, Jamie Narushchen rises early to play and improvise music for a morning ballet class at a nearby dance studio. Known for his vast harmonic vocabulary and punchy rhythms, it’s no surprise that Narushchen produced another 51 tracks in less than a year. 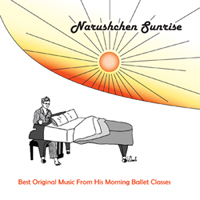 Whether it’s exercises that roll on ragtime syncopation or harmonies that echo Ravel and Bill Evans, Narushchen Sunrise offers some of Jamie’s most spirited improvisations that were captured live during the recording. Notes: Exercises are printed on the back of the case and on its one-page CD insert. A Hamburg Steinway concert grand was used during the recording. This CD’s music has been tested on hundreds of ballet classes in San Francisco. $25 regular price-now on sale for $21! 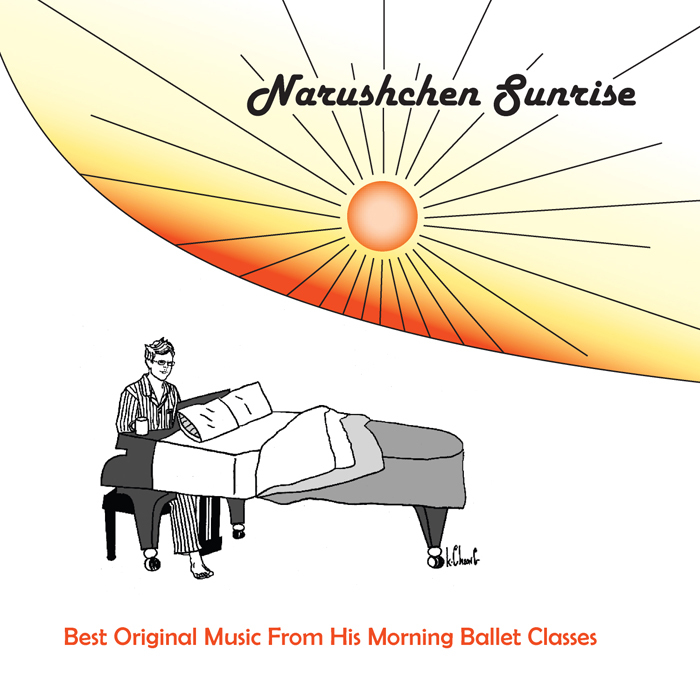 Narushchen rolls out his long-awaited ballet class CD of original music for ballet class. American in essence, Narushchen's music is a fresh amalgam of his vast harmonic vocabulary and shades of his favorite composers. A New York Steinway concert grand was used during the recording. 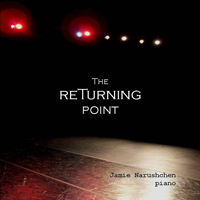 This CD's music has been tested on hundreds of ballet classes in San Francisco. San Francisco Ballet pianist Jamie Narushchen revisits the timeless classical ballet music that inspired an entire generation of dancers. Note: This CD is not a ballet class CD; it is supplementary music for keeping classes fun.